The DST project is now on public token sale. At the moment you can buy DST with extra 10% bonus. DST are a great way to profitably invest. After the end of the ICO , DST will be listed on international exchange platform which means tokens’ value will rise. ICOs are definitely gaining popularity. According to the CoinSchedule portal, during 2017 there were more than 230 ICO . The total amount of funds raised exceeded $ 3.8 billion in 2017, and for just 3 months in 2018 ICO have already received over $5 billion in investment funds! However, the popularity of ICO does not reduce the risks associated with the purchasing of tokens. ICO from high quality companies can allow you to increase your capital and profit. However, investing money in fraudulent or simply substandard projects can lead to a loss of funds. Several questions arise when dealing with ICO: How can you distinguish quality ICO from inferior ones? How can you understand which ICO is worth investing in, and which ones are not? To answer your questions, DST team prepared this article — list of tips for ICO investors. This is the Holy Bible for any project, a hybrid between a business plan and an advertising brochure designed for the investor. The more detailed and clear the information is presented within a white paper, the more chances the company has for receiving the necessary amount of investment funds. The amount of necessary investments and the planned results in quantitative terms. When studying the WP, you need to pay attention to the required amount of funds, and how this sum relates to the goal. For example, are the expenditures too high? An additional characteristic of an excellent WP is a WP that brings a detailed development plan for the project into the future for 1–2 years. For example, the DST WP describes business and marketing plans for the project all the way to 2020. Feedback in ICO projects is often carried out through the website, groups and social networks. For example, in Telegram, Facebook, etc. It is necessary to pay attention to the number of participants in the group, the quality of the administrators and the topics discussed. If there are few participants this can mean that the project is not very interesting for investors. If there is a significant number of participants (more than 50 000), but very little activity where no one writes messages — this can mean a “wrap-up” of the group. If there are a lot of irrelevant messages that are not about the project, it can mean that the group is being spammed and the work of the administrators is substandard (they should delete spam messages). Also, in a good project, administrators respond quickly, fully and efficiently to participants’ questions and have a significant number of participants. For example : DST have more than 200k registered user, 33k telegram fans and 20k FB member. Among managers and advisors, the availability of professionals from various business areas is a huge plus. In fact, this means that the project has been worked out not only on the part of IT, but also on financial, marketing and legal aspects. ICO held by this team and the availability of international work experience are also a big advantage for the project. The founders of DST is a successful entrepreneur, he has over 15 years of rich experience in managing commercial businesses, extensive knowledge about business management and business strategy management. His businesses include development of silver mine fields, silver jewelry chain store and silver processing plant, which are widely distributed in China, Australia, Chile and other countries. With his rich experience in traditional enterprises and his active participation in the blockchain projects in recent years, he is determined to bring silver mining, silver jewelry retail and silver futures into the current trend of the blockchain. Our advisors are experts in finance and high technologies in international. The high relevance and uniqueness of the idea is the basis of the whole project. 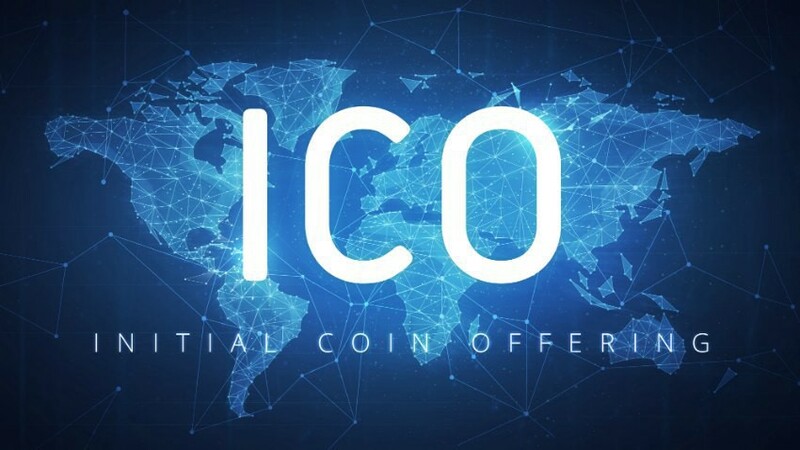 Even having a professional team, working prototype and competent legal and marketing support, an ICO is still risking failure if the product does not meet the following requirements: it solves the existing problem, helps to perform the daily tasks of people and business in a more optimal way, the product is unique. For example, Decentralize Silver Token (DST) tries to meet the challenges of production quantity, development technology, quality inspection, timing estimation and investment of precious metals. It allows effective sales and development through pre-ordering of merchandise. Meanwhile, the ecosystem of DST could also increase transparency and fluidity, enabling manufacturers and franchised investors to reach P2P agreement. The smart contract and goods inspection used by DST could provide trust and pricing of the pre-ordered merchandise. If the project wants to reach a multimillion-dollar hard cap, support from angel-funds or private venture investors is also needed. The roadshow starts long before the ICO-presale, which helps to raise a larger share of the necessary funds in the initial stage. Prominent investors carefully check potential investments, which means that if funds have been invested, the project is likely to be reliable. DST received funding from Venture Capital for the further development of DST. Beside that , there are four leading venture capital firms from Southeast Asia have officially joined forces with DST. These venture capital firms have targeted several key areas of investment focusing on financial technology, enterprise services, big data/analysis, information security, community, e-commerce and internet of things. These venture capital firms comprised of top professionals from Beijing, Silicon Valley, Dublin, Hong Kong and Singapore. They have more than ten years of experience in financial technology and mining industry. They also owned more than 100 subsidiaries in various industries. Over the years, these four leading venture capital firms have raised more than $5 billion of investment funds. In preparing our ICO, we have aimed to take into account all of the above aspects. The DST project is now conducting the stage of a public token sale. Currently you can buy DST with extra 10% bonus on dstoken.io. DST are a great means into a profitable investment. A decentralize silver ecosystem with underlying Blockchain technology.